Fiction is the next Detroit. Have you been there? I haven’t, but I’ve read plenty about it, which surely counts for something. Most of it is pretty grim stuff. For that matter, so is most of what you read about the state of contemporary American fiction, what with the demise of publishing and our whole world pixelated and digitized, not to mention Thursday night football and Sunday morning brunch, and just who the hell has the time to read a whole book anyway? 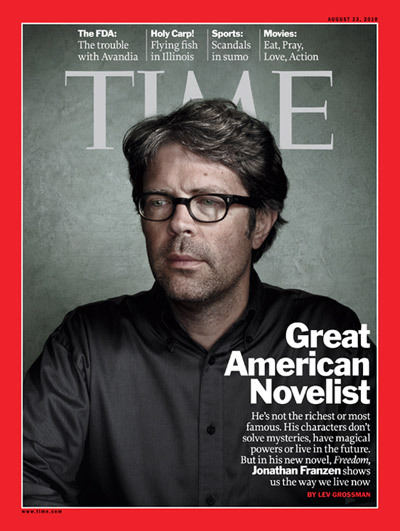 The technologies introduced in the 17 years since Franzen (a native of that most “Middle American” of cities, St. Louis) wrote those words have only exacerbated the situation, letting the soul select and “like” her own society to a previously unimaginable degree. The Internet and all its attendant gewgaws have only further atomized communities, essentially reducing vast swaths of human discourse to the swipes and clicks of a finger. Having abandoned what Franzen called “the depressed literary inner city,” we have pushed out from the suburbs into even more discrete exurbs, our literature as ersatz as the McMansion subdivisions that riddle the landscape, our homes decorated with the inoffensive West Elm trappings of workshop fiction. This is obviously a very tricky place from which to write the sort of sweeping, universal literature that generally gets called art — in fact, given all the forces aligned against you, both cultural and economic, you’d almost have to be a fool to try. Might as well just scroll through your Netflix queue. In one of those happy accidents of fate, I reread the Franzen essay almost right after having finished Mark Binelli’s Detroit City Is the Place to Be: The Afterlife of an American Metropolis. Binelli is a native of that much-mourned city, and while he enumerates the many signs of its postwar decline, his is a strangely optimistic narrative of those have stayed or actually moved to Detroit, messianically convinced that emptiness, rubble and neglect are the ingredients of a visionary new city upon the lake. Hipster farmers, European architects, African-American community activists — they have all taken Detroit’s thoroughly confirmed irrelevance as an asset that will let them rebuild as they want, free of both corporate and popular dictates. That’s what I meant with the fiction-as-Detroit conceit. It is well known that the fortunes of the Motor City declined when, in the postwar era, Japan and Germany started making much better cars than we did. What happened to the American automotive industry some half-century ago is happening today, more or less, to American publishing: declining interest in the product, high legacy costs, cheaper competitors (i.e., ebooks), a workforce slow to adapt. By that logic, literature is dead or dying, doomed to the sort of irrelevance that left Detroit looking like firebombed Dresden. This, however, does not have me worried. I, for one, am happy to occupy that gutted and forgotten city, much as Franzen was back in 1996, much as some college graduate right now is dreaming of escaping his parents’ basement for a coldwater loft. Literature could not find itself in a better place from which to escape the confining and picayune interiority of the last half-century. I am going to push this urban metaphor a little further, not for the sake of trying to be clever but because it gets at the very problem facing fiction. The audience for literature today is generally well-off and suburban — these are the people, after all, who have time to think about their profoundly personal problems and read books that purport to solve or at least mirror them. So, then, if the ruined metropolis is the sort of serious fiction that Franzen championed, then the suburbs are the predictable comforts of memoir like Eat, Pray, Love, or its fictional equivalent. There is something freeing in neglect, in the knowledge that literature has lost its centrality in the American experience, that we neither have new Mailers, nor yearn for them, that we have been abandoned for more the more passive pastures of the digital age. With that knowledge already beneath our skin, why bother trying to attract Starbucks to Gratiot Ave? Let us brew our own, stronger coffee: Joshua Cohen’s Witz; A.M. Homes’s May We Be Forgiven. Elizabeth Gilbert can keep her millions. I guess what I am calling for is the literary equivalent of “rightsizing,” in the lingo of urban planners. The concept suggests that we reclaim cities by returning them to their core functions, by shedding the sprawl that doomed them in the second half of the 20th century — the same cultural sprawl that has diluted American fiction. Writing of Detroit’s plan to rightsize back in 2010, The Economist was glad that “harsh realities have produced radical thinking,” praising Mayor Dave Bing for recognizing the “painful necessity” that the Detroit of bustling factories could never be again. In fact, Detroit’s automotive industry has become back: not enough to return the city to its halcyon days, not enough to heal the scars of its decline, but certainly more than doomsayers would have expected a decade ago. It has done so by becoming leaner, smarter, no longer peddling Hummers, thinking of green energy and efficiency as more than just the fads of coastal elites. Publishing will have to do the same thing if it wants to save the literary city. It will likely have to look at smaller presses that are publishing less, but editing more, that are repacking classics in unexpected ways, that are finding ways to be beat Amazon at the ebook game. And the city will be saved. Because while the city may shrink, it cannot be allowed to die, either — cities, like books, will always attract those who reject more anodyne pastures. The city is where real problems reside, along with the people who suffer from them — and those who, to borrow from Auden, cannot help but act as “an affirming flame.” Today’s suburbanized literature — a dim light bulb — has largely cast aside the sweeping social concerns that animated, say, The Grapes of Wrath and Native Son. A big social novel is like a great old train station; a nice thought, but impractical in this day and age. Who will go there, anyway? A bus shelter will do. Both of the above novels are Detroit fiction: unruly, uncouth, imperfect, tragic, frequently beautiful, sometimes ugly. Which isn’t to say that Detroit fiction always has to be 600 pages long and cover the entire arc of American history. Henry Miller’s furiously personal Tropic novels are squarely Detroit in their ambition to catalog “the hot lava which was bubbling inside me.” So are the cerebral short stories of Lydia Davis, who gets at the human condition in seven stabbing words: “Heart weeps. Head tries to help heart.” That’s about as far from the suburbs as you can get. Suburban novels are, in the end, a double illusion: the basic one of fiction, followed by the more poisonous promise that reading, say, Paulo Coelho is really going to improve your life. Their counterpart is the McMansion with its ersatz Tudor accents and assurances that within is everything you could ever needed. This is obviously not true. The world is out there. Detroit awaits. Witz (Don’t make a fool out of yourself: the “W” is a “V”. It’s Yiddish for joke.) is the tale of the extinction of all Jews save the newborn grown man (with beard and glasses) Benjamin Israelien (ben Israel Israelien). 18 million Jews die on Christmas Eve 1999. America reacts by rabidly embracing Benjamin’s religion (Its name unmentioned, the book conspicuously leaves the word “Jew” as a void, the same one where Witz’s God is hiding.) even as he continues in his apathy toward it, eventually fleeing from his handlers and crossing the country and back, finding his way into Polandland where lies Whateverwitz, Whywald, Nohausen, where the few remaining gentiles are sent for their refusal to convert. The plot is simple and linear, a steel skeleton supporting Cohen’s otherwise omnidecadent Babel tower.